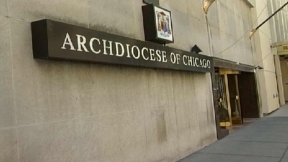 The Archdiocese of Chicago has expanded its partnership with Mobile Care Chicago, a non-profit organization dedicated to delivering no-cost medical and preventive care to low-income children, to provide free, comprehensive oral health care to Archdiocese Catholic school students. This exciting collaboration will provide oral health care access to thousands of students, many of whom may not have had access to a dentist previously. This service will also help students remain in compliance with state requirements for dental exams in kindergarten, 2nd grade and 6th grade. For schools that choose to participate, parents and guardians will complete consent forms to enroll their child in the program. Once consent forms are submitted, Mobile Care will schedule between three and five school days to provide initial exams, cleanings and teeth sealants to all participating students. 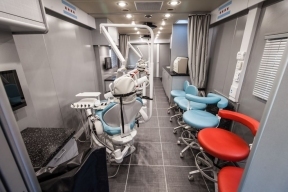 If further treatment is needed, such as cavity fillings, extractions or other intensive work, it will be done as a follow-up appointment aboard Mobile Care’s Dental Van. As part of its services, Mobile Care dental staff members return to ensure all work was properly completed and that no other services are needed. Mobile Care also maintains a 24-hour hotline if parents want to schedule a visit between appointments. Seven Archdiocesan schools have already enrolled in the program this year. The goal is to enroll all Archdiocese schools with students in need by the end of next school year.